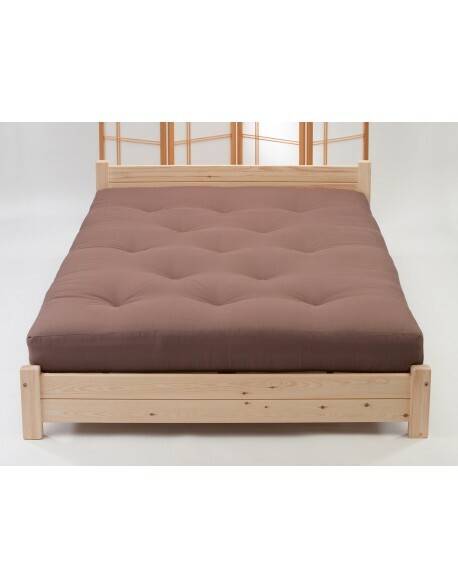 Monk Futon Bed Roll | Easy carry comfort in a choice of sizes. 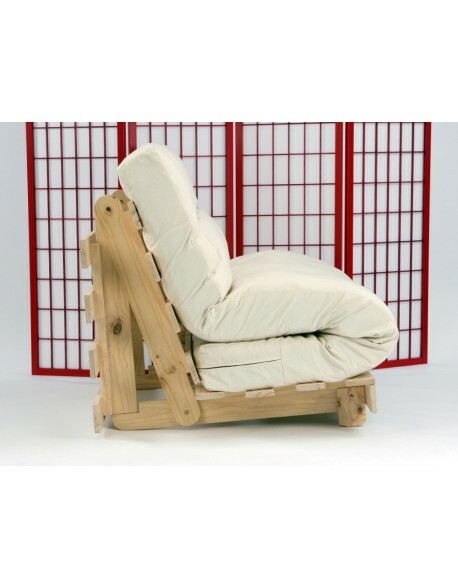 Please select your monk futon size. Select your Monk Roll filling. 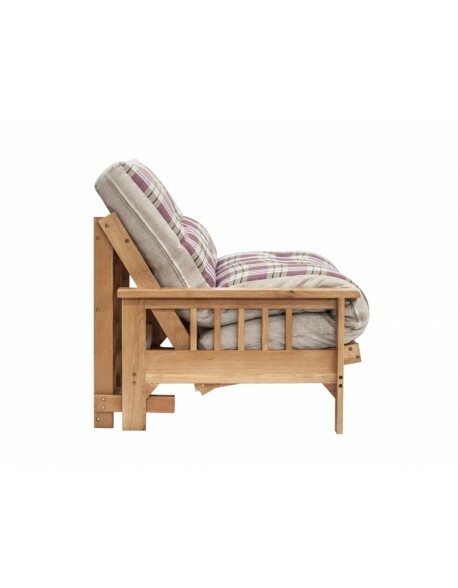 The Traditional Monk Futon Bed Roll is manufactured using a top and bottom layer of pure lambswool with two layers of woolfelt in-between, then buttoned through using felt mattress tufts, giving a thickness of around 6.5 to 8cm. We now also offer an upgrade to include the addition of a mini pocket spring cage creating the Pocket Monk providing a softer supportive feel through the 3cm individually pocketed springs, ideal for more regular use with a 10 cm total thickness. 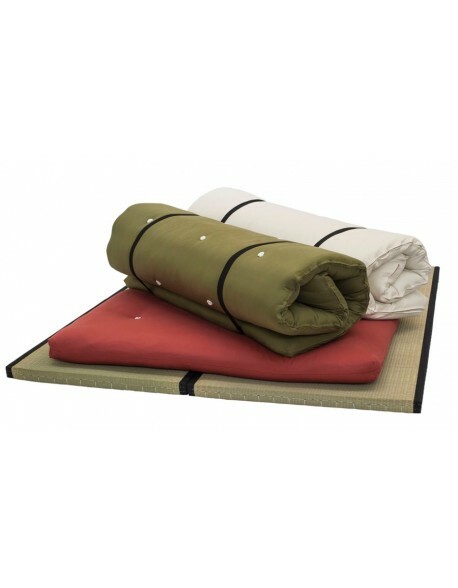 Whichever filling type you choose the Monk can be easily rolled up and secured with the provided velcro fasten straps (2 on the double, 1 on the single size) making is easy to carry around and store. 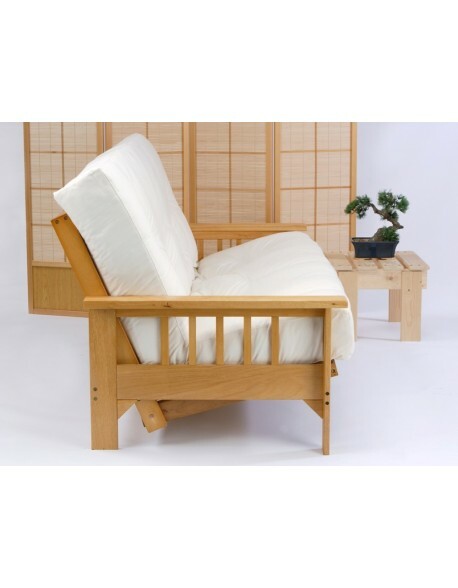 The Monk Futon Bed Roll is available in a choice of three sizes: 90cm / 3ft Single Size, 140cm / 4ft6ins Double Size or 150cm / 5ft King Size, make your choice from the menu above, and is upholstered in natural cotton drill fabric. 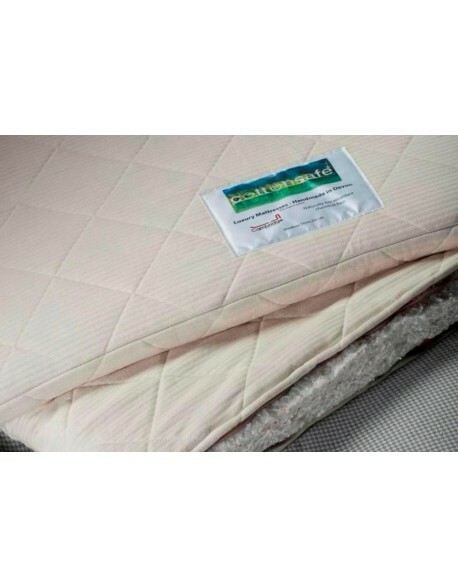 All sizes are around 190cm / 6ft2ins long when unrolled. 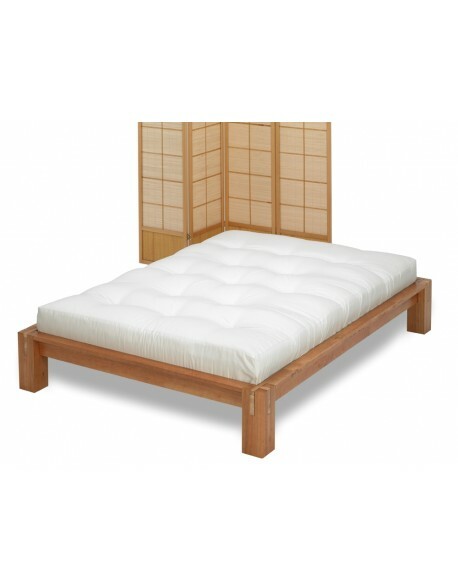 Bed length 190 cm on single or double sizes, 200 cm on king size. 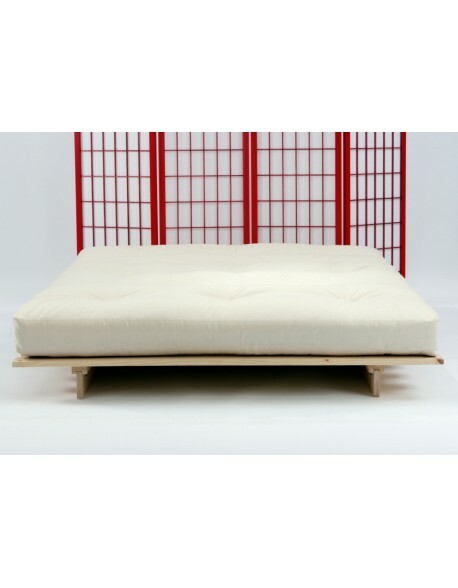 Futon mattress materials Lambswool top and bottom, 2 wool felt layers and the option for a central layer of pocket springs, upholstered in natural cotton drill and felt tufted. Velcro fasten storage straps. 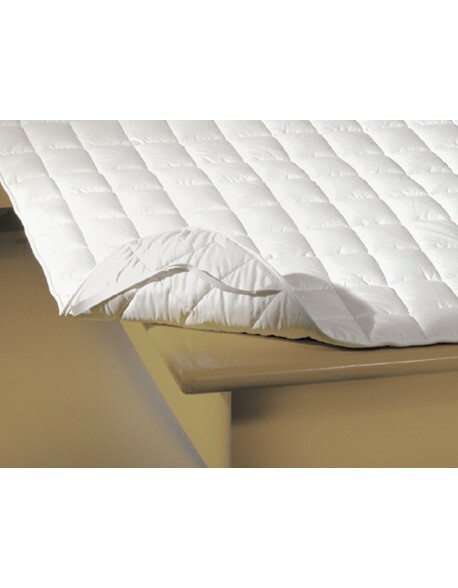 Recommended Use Excellent as a stopover bed roll also used in camper vans, yurts, shepherds huts etc. 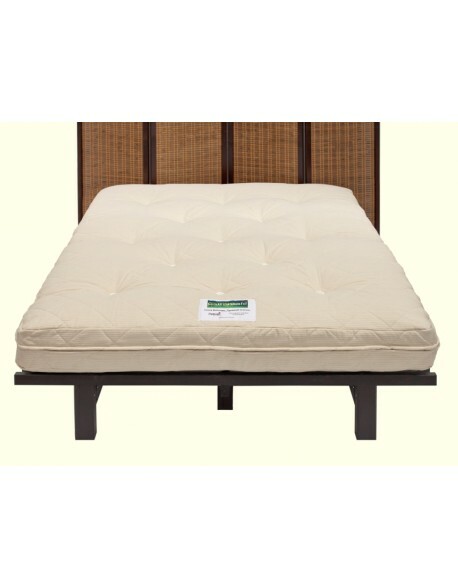 Also used by some as an everyday Japanese style bed mattress.